Shap CE School children, their families and staff met together to support the Fair Funding for Schools Protest at The Corn Market in Penrith today. 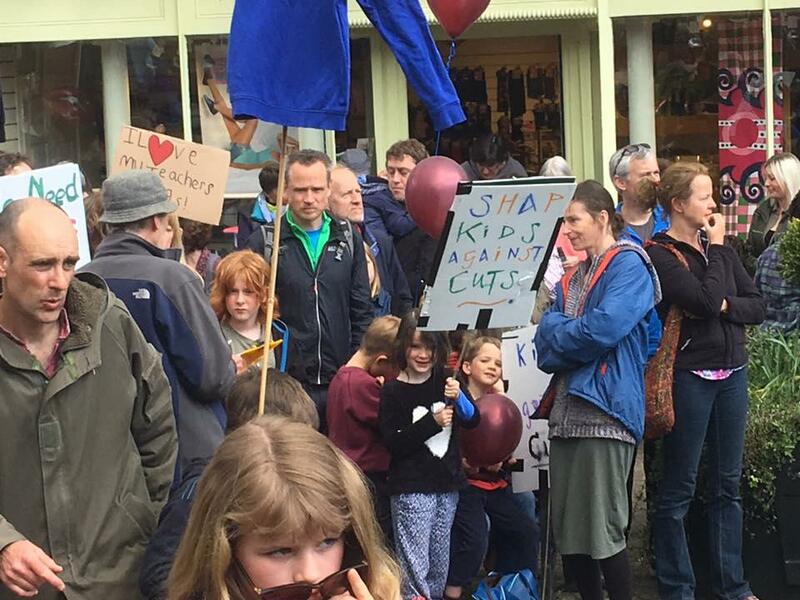 Armed with their homemade placards and balloons, they joined other local schools to raise awareness of the huge cuts to school funding. Those that spoke included Nigel Pattinson, headteacher at UCC and 10 year old Katie Greenwood from North Lakes Primary School.